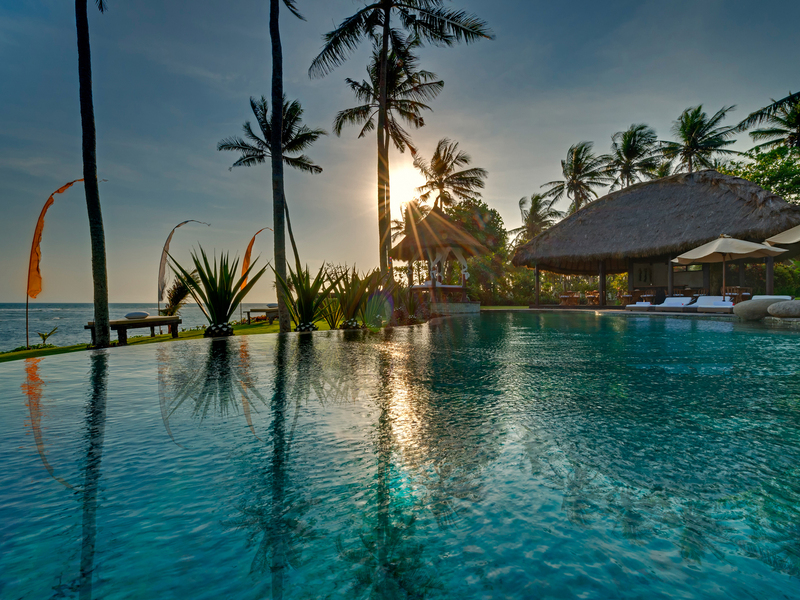 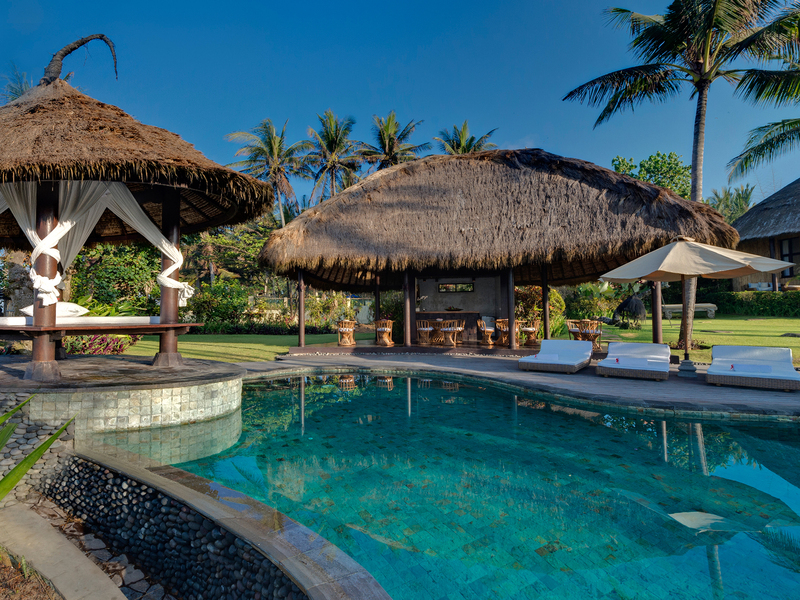 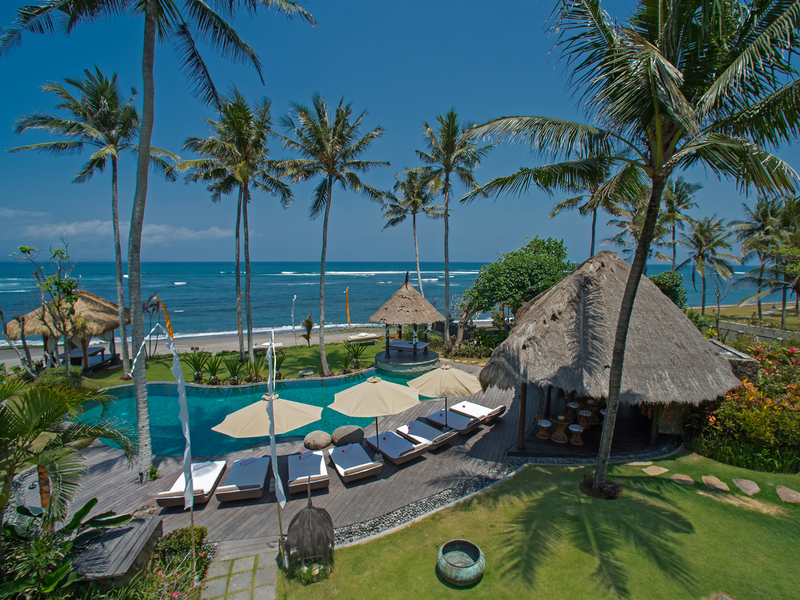 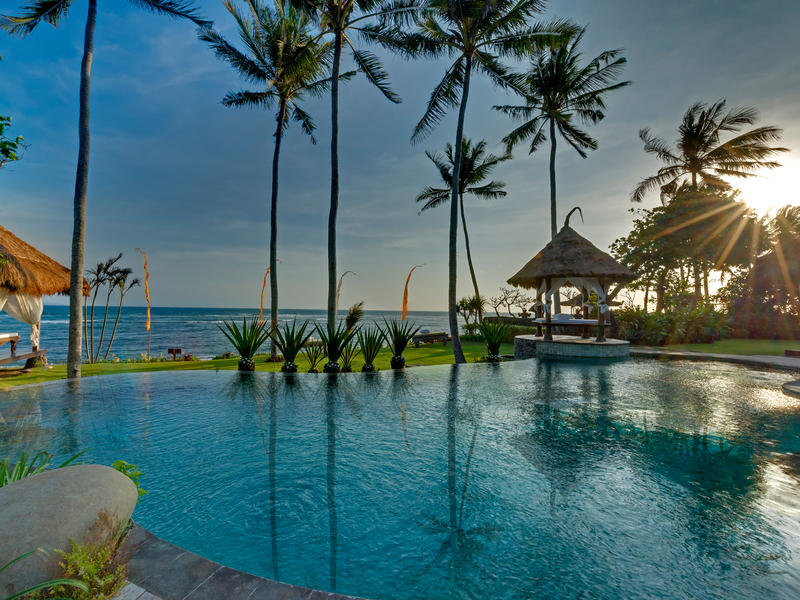 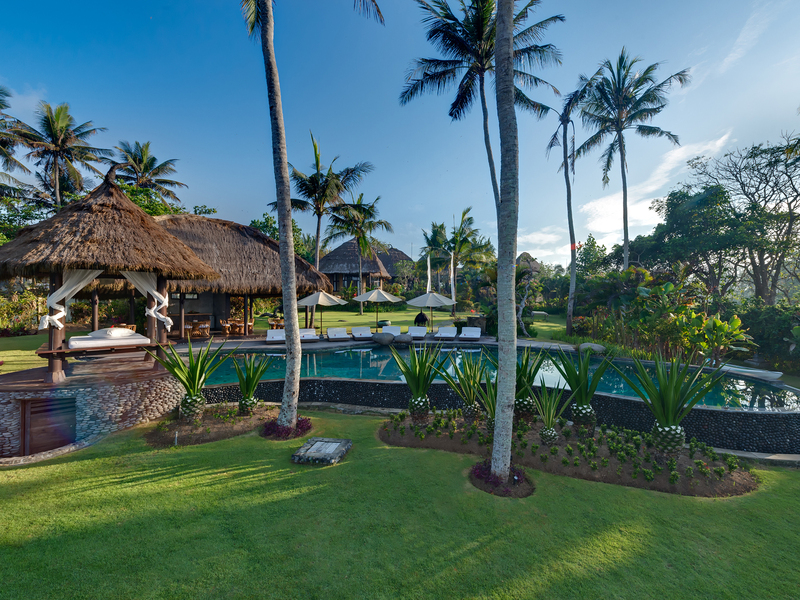 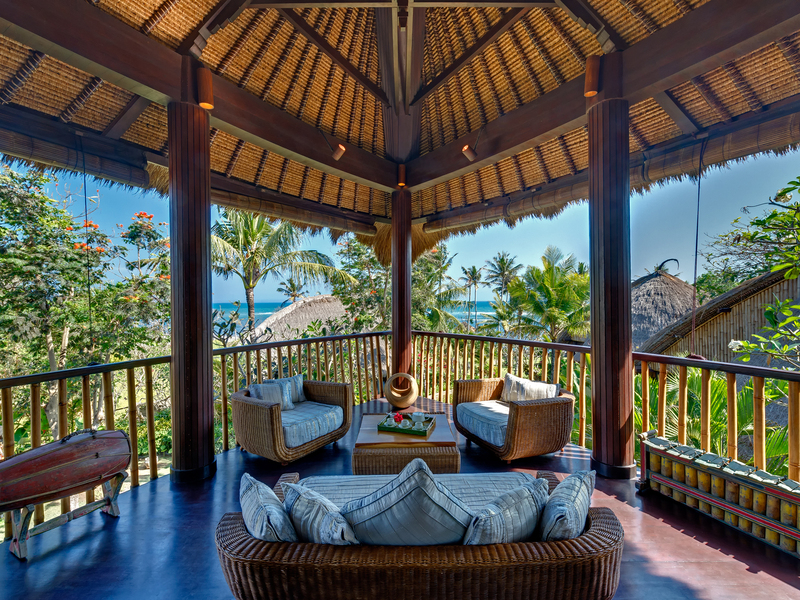 Taman Ahimsa means ‘Garden of Peace’ and as soon as you enter this magical oasis, you will surrender yourself to the seductive charms of this seven-bedroom luxury oceanfront villa in Cemagi, on Bali’s southwest coast. 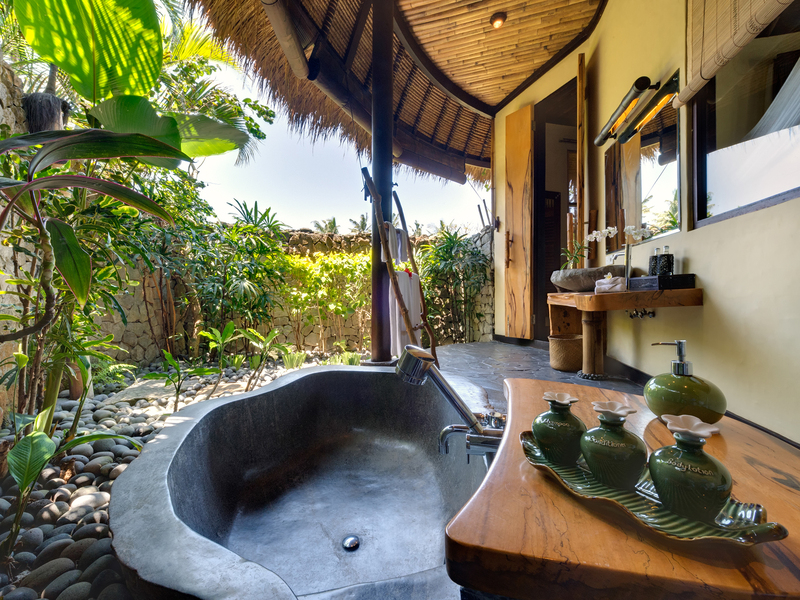 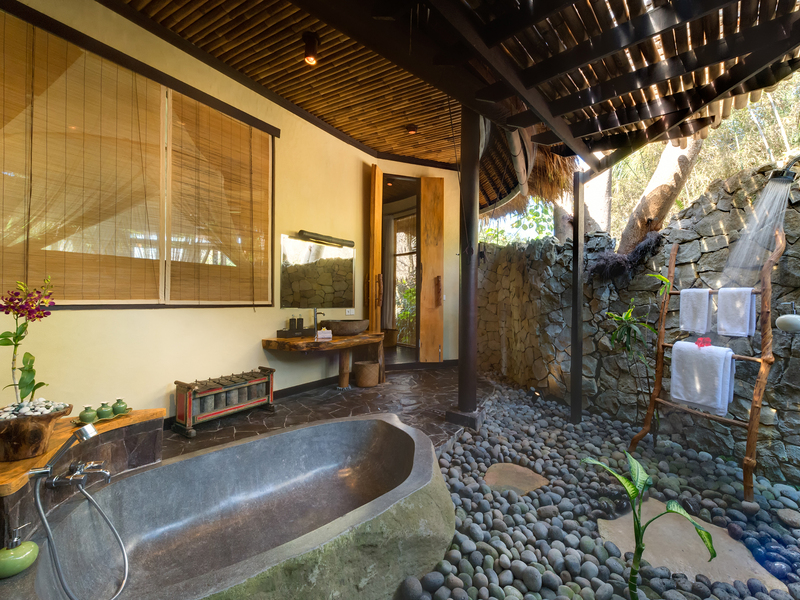 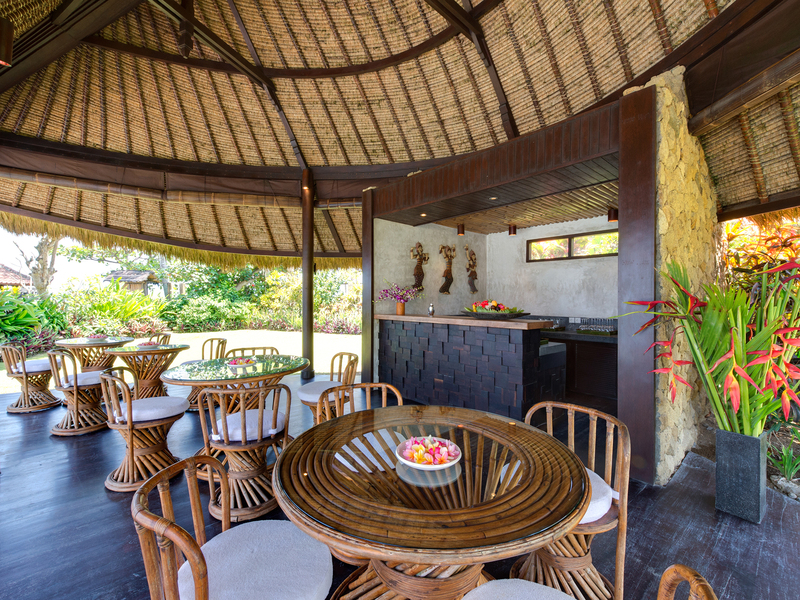 Taman Ahimsa offers a beautiful synergy of nature and organic design providing wonderful spaces for friends and families to come together and enjoy Bali’s tropical treasures whilst also offering private opportunity for contemplation and rejuvenation. 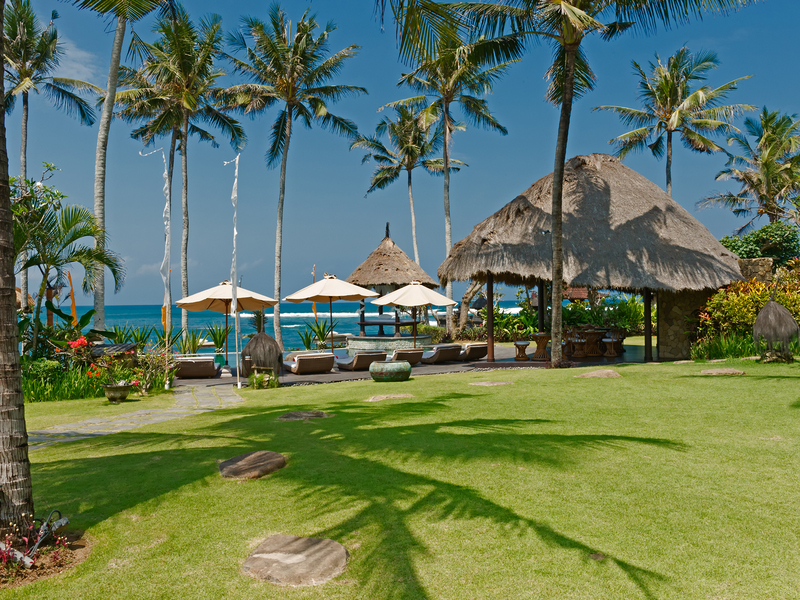 Meander from the poolside decking directly onto the beach, and enjoy cocktails at sunset. 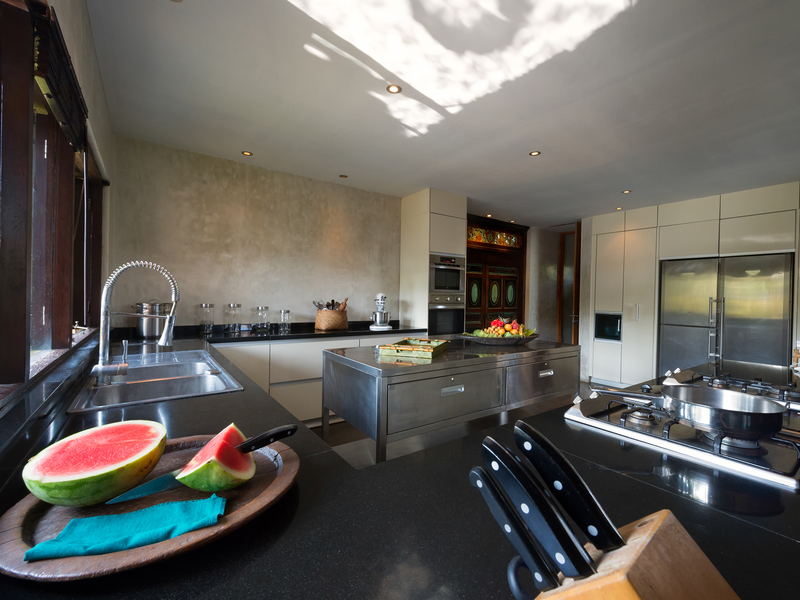 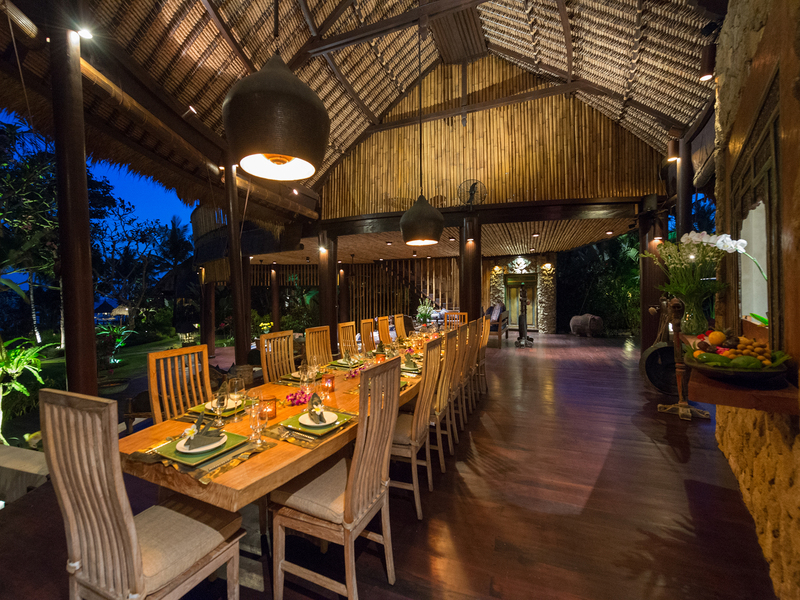 Congregate for meals at the elegant teak dining table and be tantalised by the stunning cuisine prepared by your in-villa chef and his team. 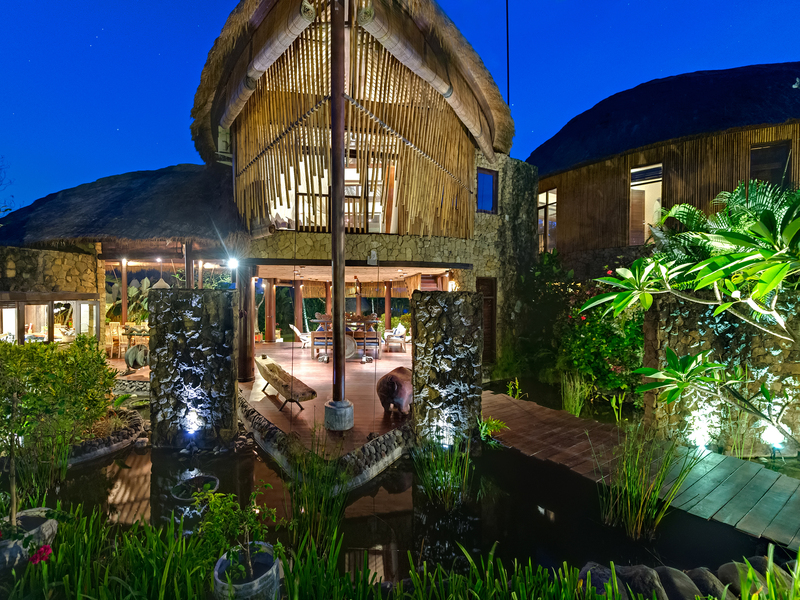 And after dinner, gaze at the blanket of stars adorning the Balinese night sky through the villa’s telescope. 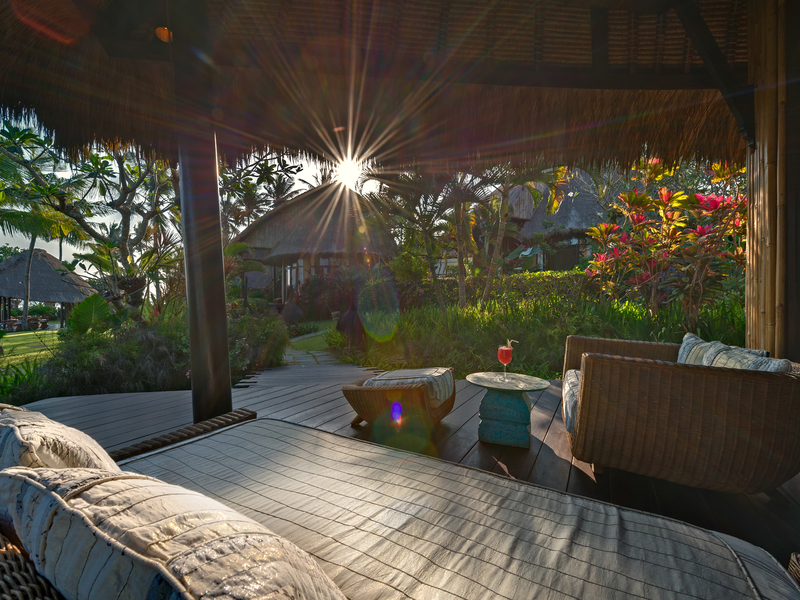 Look towards Uluwatu as you luxuriate under a sunshade by the Java-stone pool, enjoy a massage in a thatched garden balé, or still your thoughts as you gaze over the jade-green ocean. 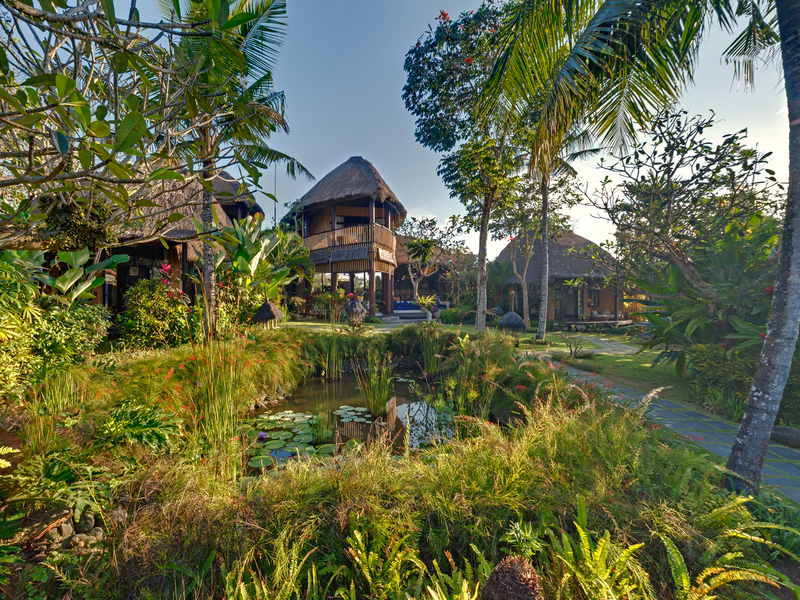 Explore the surrounding sculpted rice paddies or stumble upon a colourful ceremony and find yourself in the midst of the exotic and ancient. 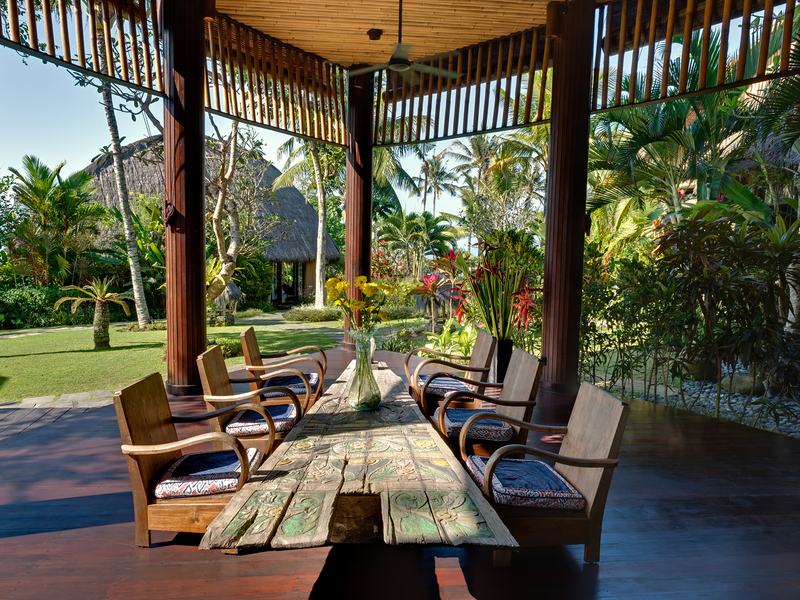 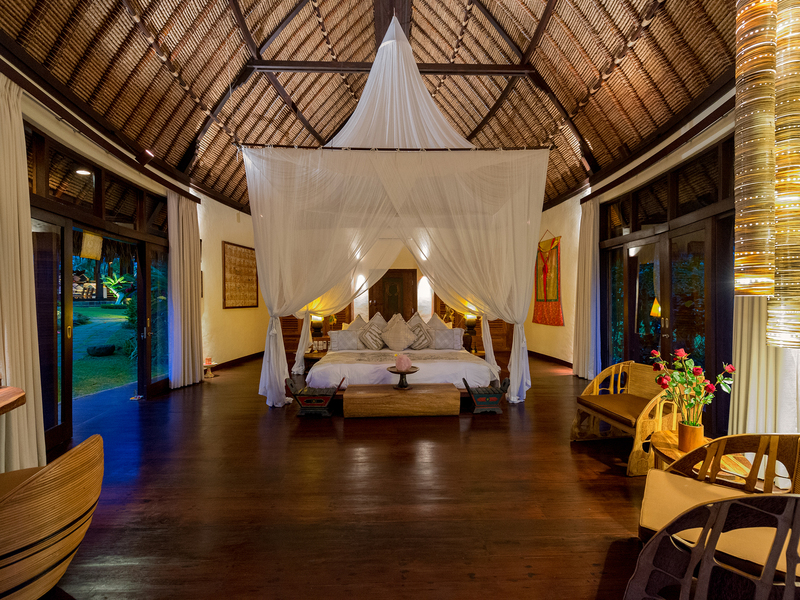 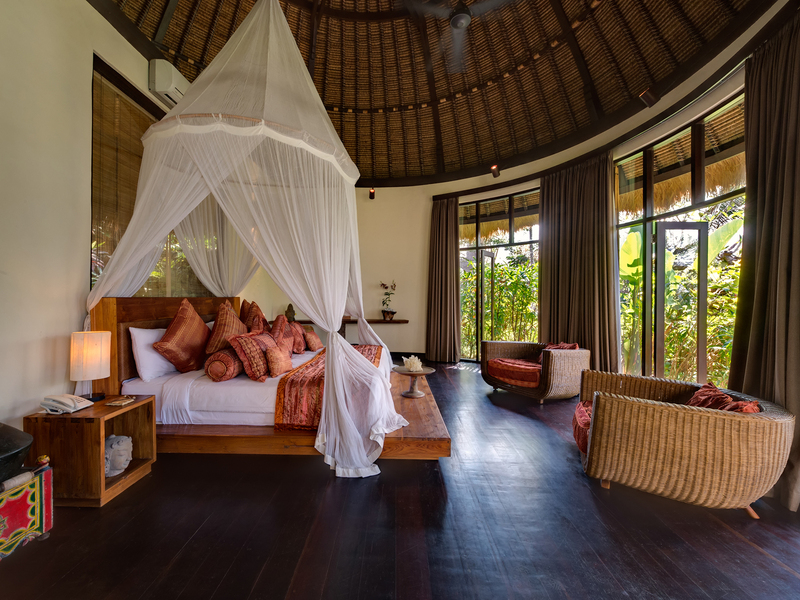 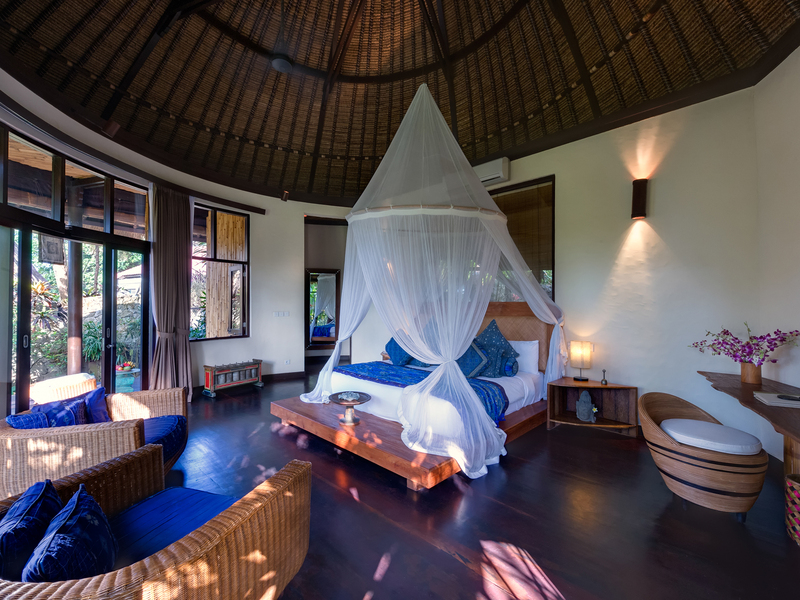 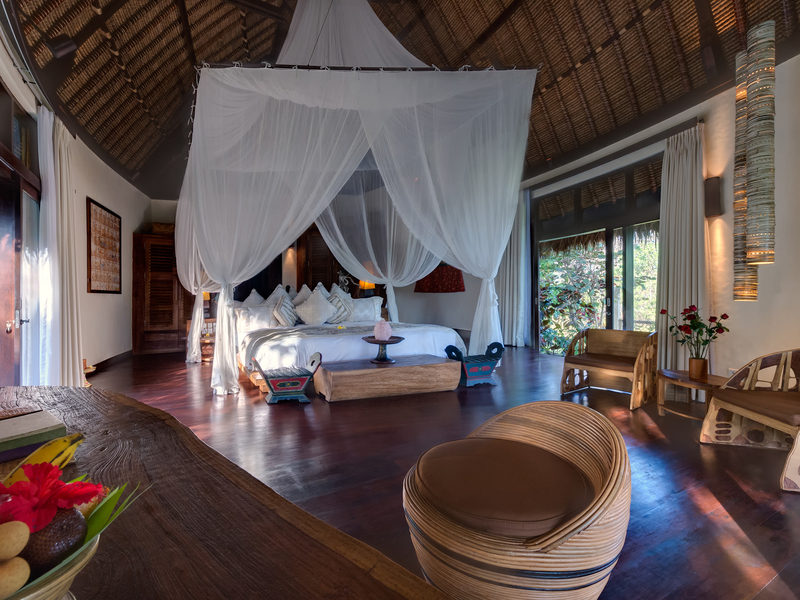 The villa's thatched roofs are designed to resemble boat hulls, sacred spirals and seashells – appropriate symbols for this idyllic retreat. 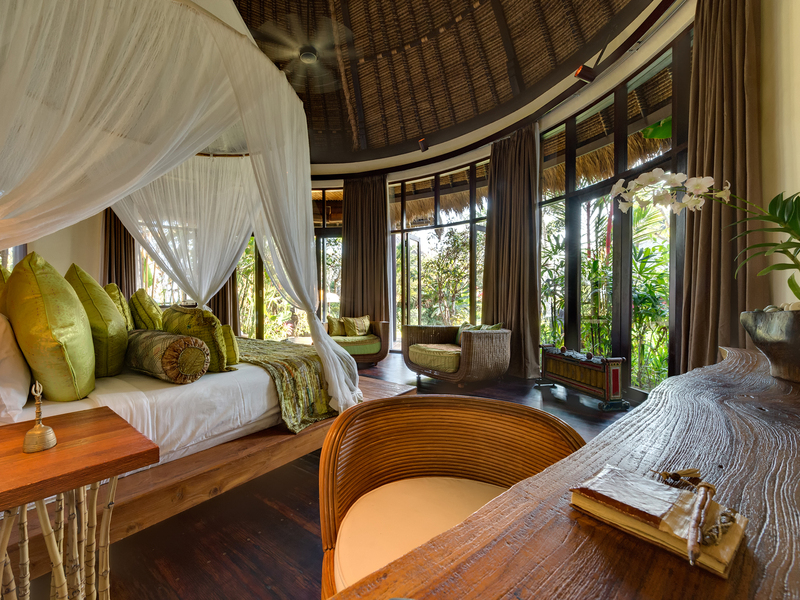 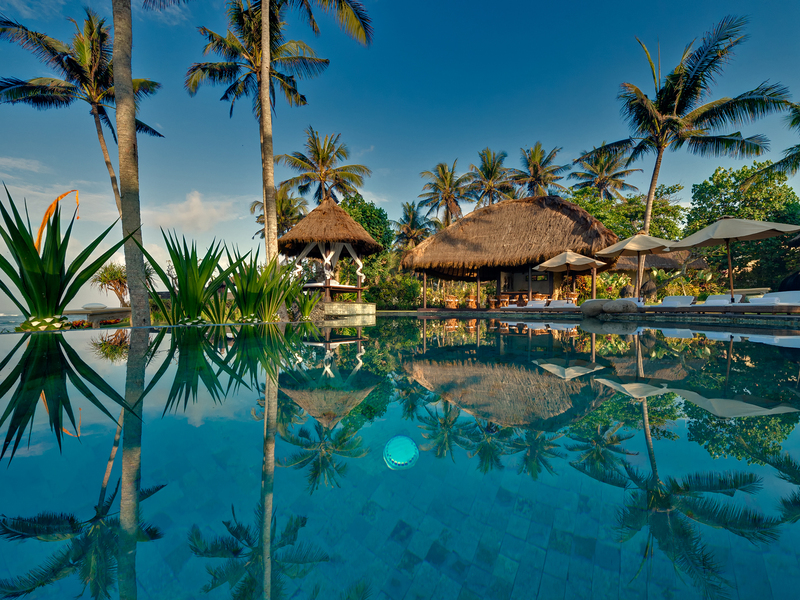 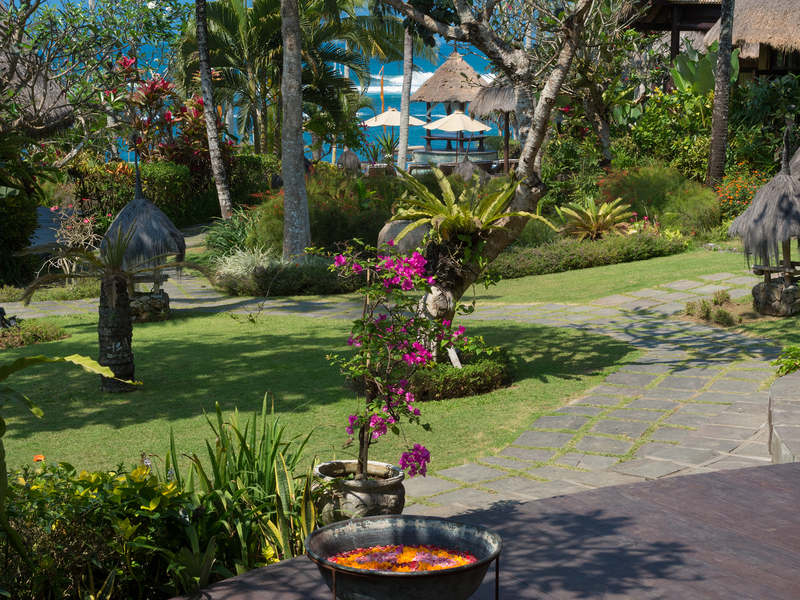 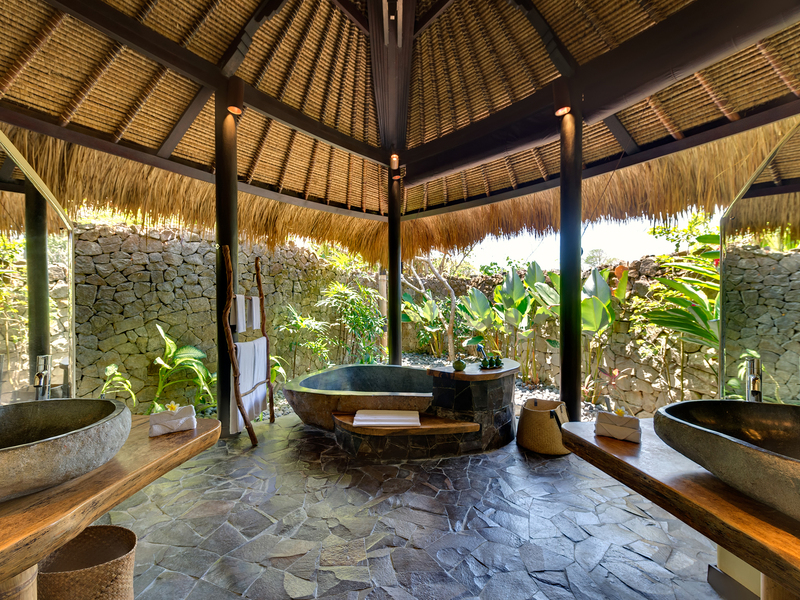 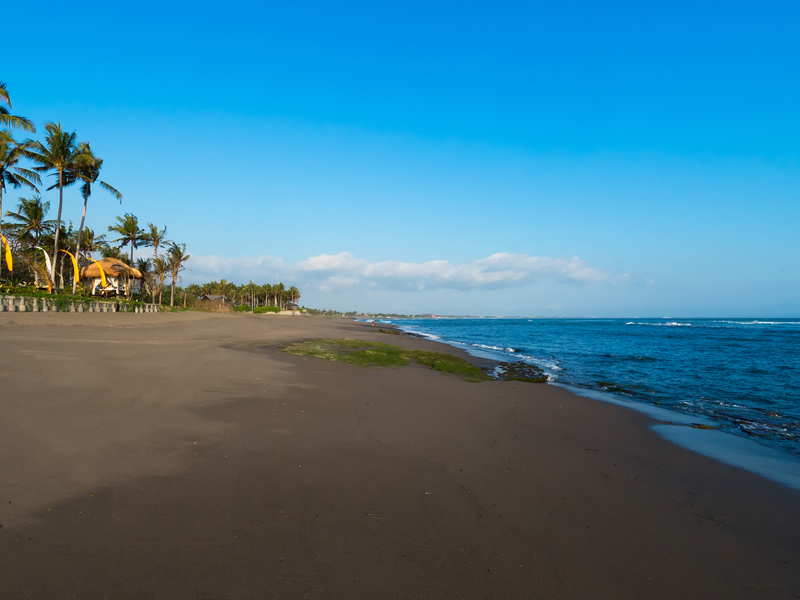 Pavilions meld into the landscape, and the sprawling, lush gardens cascade all the way down to the black-sand beach. 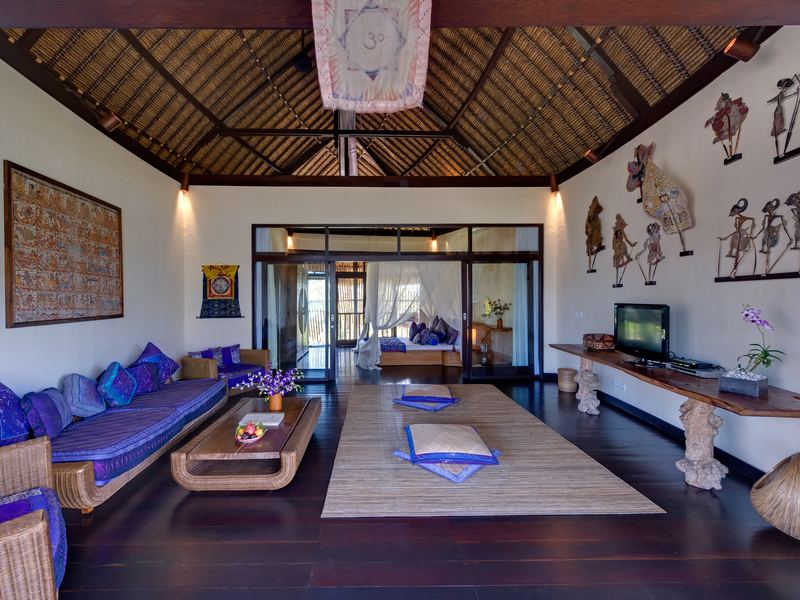 Inside, a wonderful selection of Indonesian artefacts, give unique charm and character to every space. 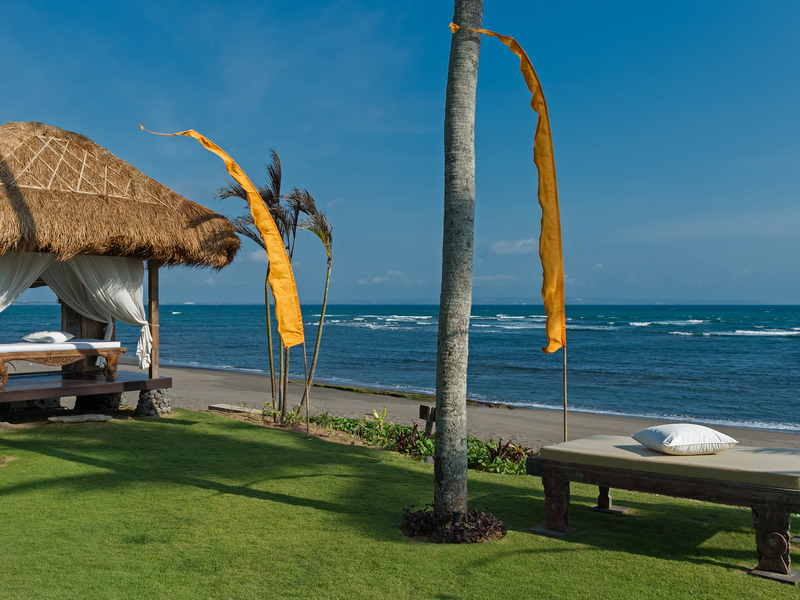 Taman Ahimsa will soothe your senses, invigorate your soul, and provide you with a renewed sense of oneness. 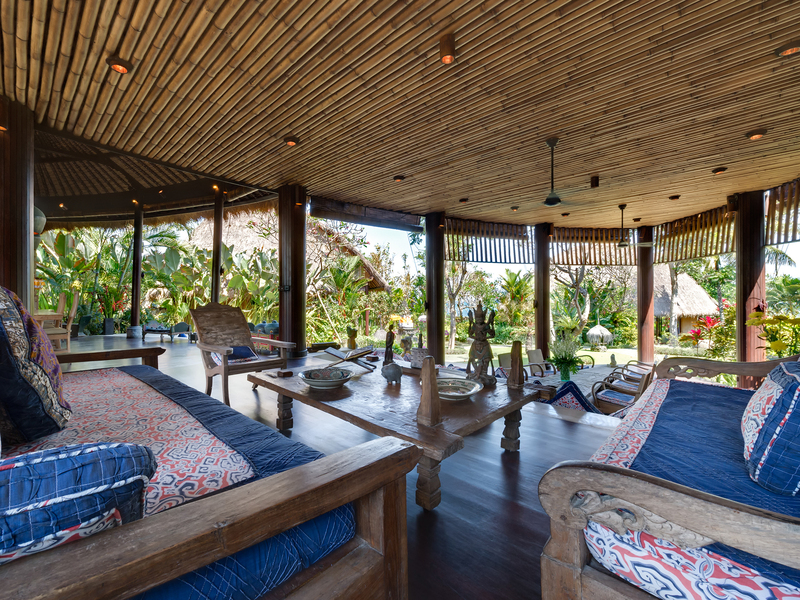 At the end of your stay you will literally have to tear yourself away – Taman Ahimsa does not relinquish its guests easily.